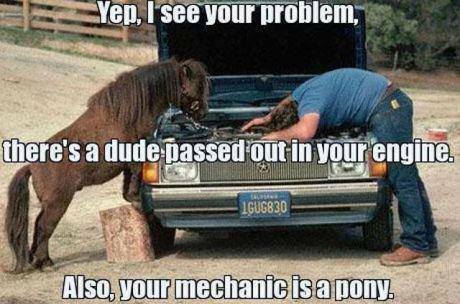 Here is something I learned in my brief foray into adulthood: people fix problems every day. Many people fix problems for a living. You don’t have to be super brilliant or rich or experienced to fix most problems– you just have to have the right tools, the ability to identify the cause of the issue, and a willingness to learn new things. Let me tell you a story. A few months ago, my car keys got stuck in my ignition. I’m relatively new at solving my own automobile problems, so I opened the manual and looked up how to manually eject the keys from the ignition. The manual had a very unhelpful diagram of a finger disappearing into a hole and some brief tidbit about pressing a lever (thanks, GM). From the diagram, it was completely unclear where the lever was. But I really needed to get my keys out of the ignition, so I looked around for some better information. I came across a Youtube tutorial that was about a million times more helpful than the diagram and successfully got my keys out. From that experience, I learned that: a) my problems aren’t as unique as I imagine them to be; b) if one solution doesn’t work, I can try another; and c) there are Youtube tutorials for pretty much everything. When I started revising my stories with these new concepts in mind, everything got so much easier. Instead of being afraid that my stories were “unfixable,” I became more dogged about making them work. If the characters were underdeveloped, I developed them. If the dialogue was too straightforward, I added more subtext. If there wasn’t enough conflict, I made things more complicated. I interviewed people to gather more research; I looked at how other authors dealt with the same issues; I watched many, many Youtube tutorials. In Immediate Fiction, Jerry Cleaver writes that “for every writing problem, there is a simple solution.” I’m still trying to improve my self-revision skills, but I feel like I’ve made some serious progress.